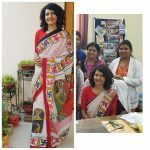 100sareepact | If you can’t stop thinking about it……..buy it! I fell in love with this one, the moment I saw it on the shop window. This was way back in year 2004. Though it seemed a bit ‘out of my league’………… I couldn’t get it ‘out of my mind’. I kept going back to the shop and finally on my third visit, I succumbed, happily. Its a jacquard crepe with peacock print. This picture is from few months back when I wore it for a party. 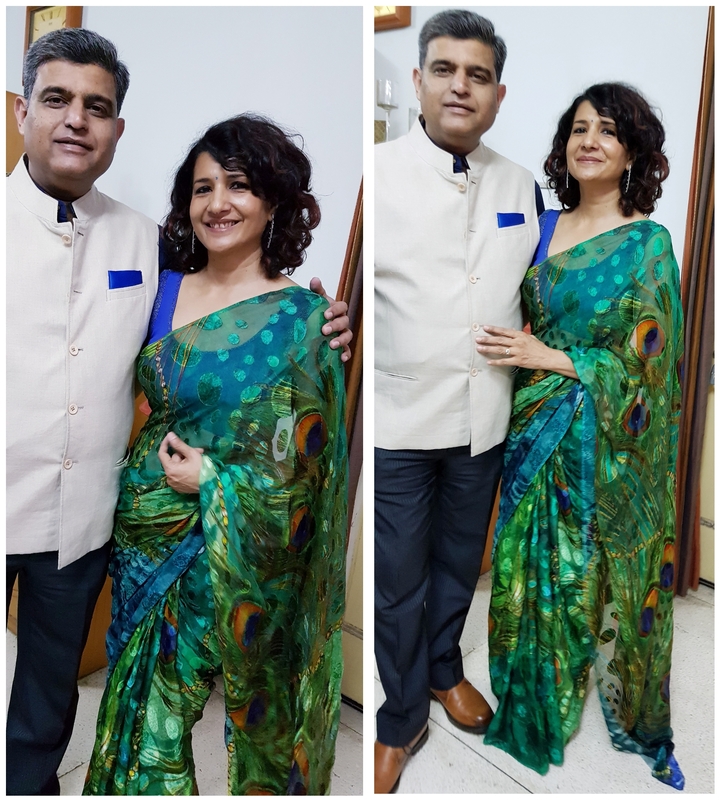 This is one “love affair” that continues…..